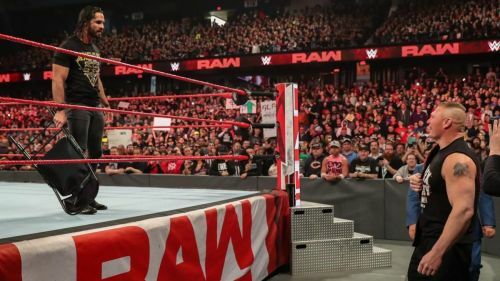 This week's episode of RAW began with quite a bang as the WWE Universal Champion opened the show with his advocate, the one and only Paul Heyman. It was good to see our part-time champion finally on RAW with WrestleMania just weeks away. 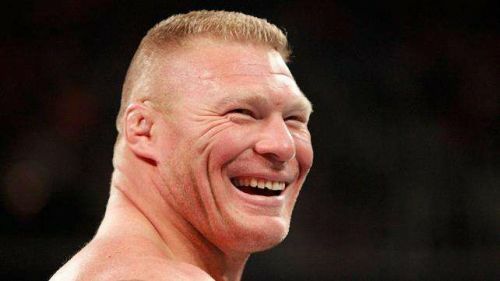 Heyman then cut one of his signature promos, putting Lesnar over as the dominant force in WWE. What we didn't see coming was Drew McIntyre of all people interrupting Brock's promo. McIntyre was the in the middle of calling out Lesnar on the mic when an incensed Seth Rollins ran out from the back and attacked him with a steel chair. Did Brock Lesnar back off from Seth Rollins to play mind games on him? One likely reason behind Brock Lesnar backing down, which is uncharecteristic for 'The Beast', is a tactical retreat on part of Lesnar. Not only did backing off give Lesnar the mental advantage, it also gave no chance for Rollins to gain back his confidence. The last time Lesnar and Rollins were in the ring together, Brock Lesnar hit Seth Rollns with 6 F-5s, utterly destroying him. Rollins getting in a few chair shots at Brock on RAW and forcing him to scrable would have been a huge boost to Rollins' morale and Brock may have made a wise decision by choosing to just walk away from the situation.